Transport vehicles that ply the major routes of the municipality are PUB’s (Public Utility Bus), PUJ’s (Public Utility Jitneys) and tricycles. Public Utility Bus (PUBs) and Public Utility Vans (PUVs) ply the route from the City of San Fernando to the City of Baguio via this municipality. These vehicles have a designated loading and unloading areas located at the town plaza and near Petron Service Center. Big buses from Laoag City also pass through the municipality going to the City of Baguio or vice versa. Jeepneys transport passengers to and from the City of San Fernando via Bauang, La Union. 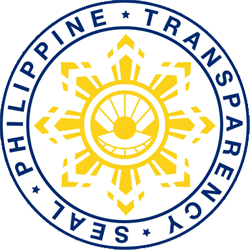 Travel from the barangays to town proper and vice versa or from one barangay to another is through tricycles and PUJ’s (Public Utility Jitneys). No terminal is allocated for all public utility vehicles, however, designated loading and unloading areas can be found within the poblacion. Tricycles load and unload at specific areas around the Public Market, PUJ’s load and unload at designated areas along the National Highway whilst PUBs load and unload along the National Highway in front of the municipal compound. The municipality does not have other modes of transportation such as railway, sea or air transport. Power and electricity is being provided by the La Union Electric Cooperative, Inc. with substation located at Barangay Cabaritan Sur. All the 37 barangays are being supplied of electricity by the said power firm; however, only 98% of the municipality’s total household has access to electricity. Said households are still dependent on kerosene, liquefied petroleum gas (LPG) candles and wood for lighting and cooking. The municipality relies on a combination of postal, telephone, broadcast and print media for its communication needs and requirements. Moreover, ample coverage of national and international news is also available through cable services, satellite discs and newspapers circulating in the municipality. An increasing demand for internet services and private delivery services such as LBC and DHL is also noted in the municipality. The readily available telephone services also provide adequate alternative communication means with an increasing demand for the use of mobile phones with networks mainly provided by Smart, Globe and Sun Cellular. There are three (3) water sources being utilized in the municipality namely Level I (Shallow wells), Level II (Piped Water System) and Level III (Improved Spring). 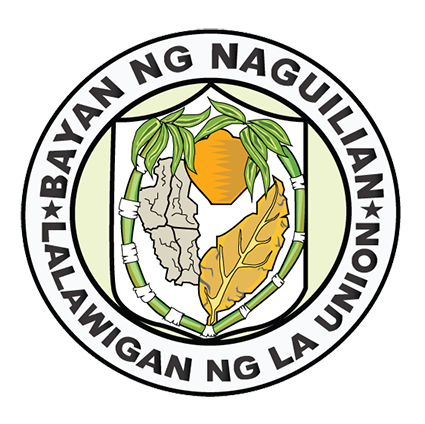 The Naguilian Water District is the only water provider operating in the municipality dating back February 03, 1978 with the passage of Municipal Resolution No. 8 aimed to provide an efficient, effective and consumer-friendly potable water system to the townsfolk of Municipality of Naguilian, La Union, with the original waterworks system constructed way back 1924 with the Casilagan creek (Spring) being tapped to provide the initial source of potable commercial water distributed to households in the “poblacion”. A year after its completion and upon compliance with all the requirements set forth by the Local Water Utilities Administration (LWUA), Conditional Certificate of Conformance No. 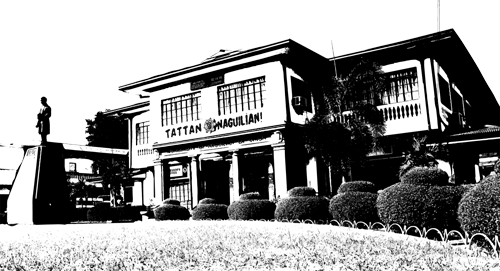 84 was issued to the Naguilian Water District on July 06, 1979 granting the sole exclusive right to operate, improve and maintain the whole waterworks system in the municipality. At present, the District is categorized as an “AVERAGE” water district with a total of 3,100 active concessionaires serving 17 barangays out of the 37 barangays of the municipality namely: Angin, Baraoas Norte, Baraoas Sur, Bariquir, Bato, Cabaritan Norte. Cabaritan Sur, Dal-lipaoen, Guesset, Imelda, Lioac Norte, Lioac Sur, Natividad, Ortiz, Lower Ribsuan, Sili and Suguidan Norte. Currently, of the six (6) pumping stations being operated by the Naguilian Water District, five (5) are fully operational while one (1) is not functional. Out of the eleven thousand four hundred sixty seven (11,467) households in the municipality in the year 2013, 98.9 % have adequate sanitation facilities, 99.53 % have satisfactory garbage disposal while 97.70 % have sanitary toilets. Only four (4) barangays of the municipality are being serviced by the garbage truck, other manners of garbage disposal include dumping in individual pit, burning, composting, burying, and feeding to animals and others. However, burning has been banned by virtue of the No Burning Policy being enacted in the municipality. In addition, there is one sanitary landfill in the municipality where domestic wastes are being processed. 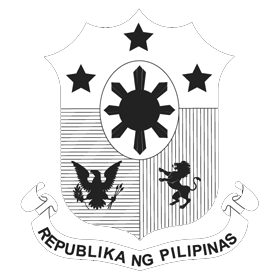 It is located at Barangay Cabaritan Norte with an approximate land area of 420,000 square meters or 4.2 ha. Moreover, based on the five-day Waste Assessment and Characterization Study (WACS) conducted in the municipality on April 2015, compositions of most of the household wastes are the following: 56.62 % biodegradables, 30.13 % recyclables, 12.71 % residual wastes and 0.53 % special wastes.